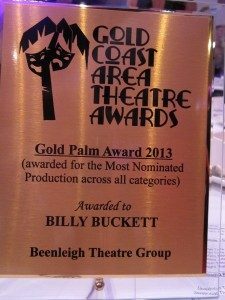 Beenleigh Theatre Group’s production of Billy Buckett scooped the pool at the Gold Coast Area Theatre Awards on 10 Dec 2013 winning FIVE categories including the “Gold Palm Award” for Most Nominated Production across all categories, making Billy Buckett the most awarded & nominated production of the event – a stunning result. 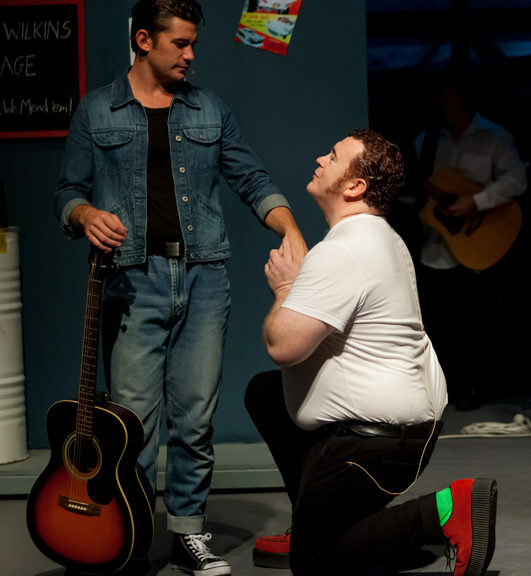 The finale performance of the event was also delivered by Team Buckett, with 14 members of the cast performing a four-minute medley of songs from the show, put together especially for the event. 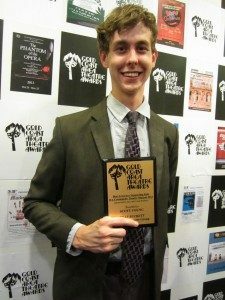 Congratulations to both our award-winners, our nominees and the entire BB Team. With the extremely stiff competition in all categories, just to make it into the nominees list of finalists was a testament to the level of excellence achieved. 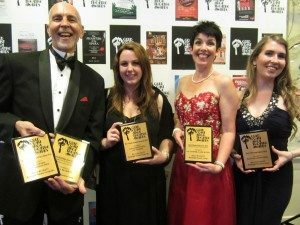 Everyone on Team BB can lay claim to these awards and nominations – it was our team effort that brought about such a high quality production. It was so much fun celebrating this success together at the Palmies. We are ever so grateful to all our wonderful family of Bucketteers and to Beenleigh Theatre Group for the opportunity. Congratulations all!